Two outstanding, multi-award winning photojournalists with invaluable experience and perspective across all facets of the world of photography will work with you over two days (plus another seminar day) to identify and apply what can differentiate you and your work from the crowded world of imagery no matter which area you are in. Is there a difference between photographing for the news and photographing from the heart? What is the difference between making images and communicating a story through photography? What is more important – reinforcing stereotypes or understanding the bigger picture? These differences can make or break the impact and depth of your work and the goals you want to achieve. 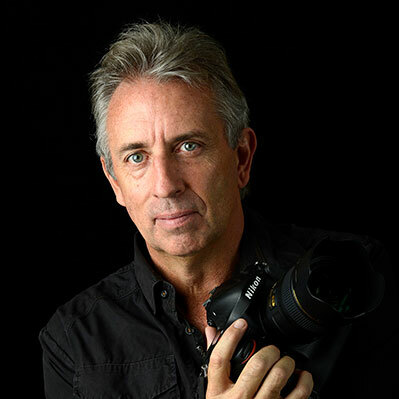 A Walkley Award winning photojournalist, David Dare Parker has photographed for many national and international magazines throughout Asia, the Middle East, Europe and Australasia. Publications include LeMonde, Stern, L'Express, Focus, Australian Geographic, The Bulletin, The New York Times, Fortune and Time Australia. He is featured in the Australian War Memorial book ‘Contact’ – Australian War Photographers and WAR: Degree South. The workshop includes guest appearances by picture editors who will review participants’ portfolios. Paula Bronstein is one of the world’s leading photojournalists. Her award winning work reflects the eye of a dedicated humanitarian and conflict photographer. She is the author of the internationally acclaimed book “Afghanistan: Between Hope and Fear “. For over 15 years, Paula worked as staff photographer for a variety of American newspapers. In the late 90’s she moved overseas covering the Asian region working with Getty Images News, working as staff from 2002-2013. Paula’s images have been published in almost every globally recognized publication and exhibited in numerous countries. Over the years Paula's extensive work in various conflict zones has taught her to be a dedicated humanitarian photographer, provoking change and raising awareness and is now working on a Getty grant on the long term effects of war. Paula states "that if war is not happening in your country quite often it is easier to turn away. My mission is to bring attention back to victims of war who have little voice – getting people to relate." We all have an ego but after a while you have to leave it behind because it makes no sense to keep witnessing these things just to make a name. Photojournalism becomes less about you and more about the people of the situation you’re photographing. It’s about offering other people a voice. The workshop is best suited for people who are already familiar with the operations of their camera and are looking to expand their vision and upskill in developing concepts, creativity and visual communication. Cost: $995 ($945 members) GST inc.